The soil is the foundation of any garden, providing nutrients and water to anchor plants. Made up of several minerals, organic matter, water, air, and a whole host of living organisms, soil differs from garden to garden and region to region. In Perth, many homes sit on ancient sand dunes, meaning the soil is predominantly sand based. Dealing with sandy soils can be difficult, but that doesn’t mean that you can’t have a great looking garden. There may not be much home for an English Country styled garden, and lush, tropical ferns may present a few problems, but if you choose hardy, native species of plants then you can still have an enviable garden that doesn’t rely on too much maintenance. Native plants are becoming increasingly popular amongst landscapers, gardeners, and homeowners, with their wide range of foliage and flowers and drought tolerant nature. In recent years there’s been a lot of development with new hybrid species and grafted specimens, and these improved forms provide better shaped plants and more colourful displays. 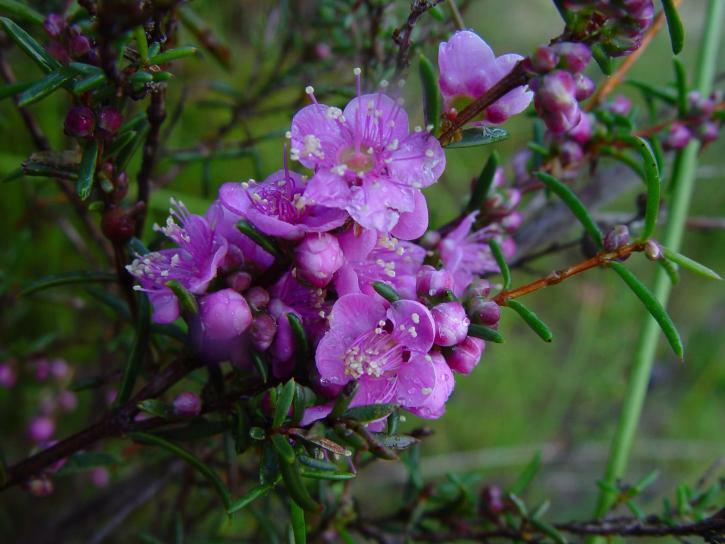 Grafted forms allow many native flowering plants to perform more consistently outside of their original conditions, and can actually work really well in Perth’s sandy soil. Many people think that native Aussie plants are difficult to grow, but as it is with all plants, it simply depends on matching the right plants to your particular garden environment. If you grow plants that are naturally suited to your area, and you offer them healthy soil, then native plants will actually grow very easily. So what are some plants that work well in Perth? Commonly known as ‘Bacon and Eggs’, Eutaxia Parvifolia is an evergreen shrub species in the Fabaceae family. Endemic to Western Australia, the plant produces yellow and red flowers between the months of August and December. Usually growing to between one and two metres, it has a plant spread of 0.8 metres and is ideal grown as an informal hedge. This is a popular evergreen shrub grown in Western Australia that requires light pruning from a young age and after flushes of flowering. Grown as a hedge, in a pot, or as part of a border, Blue Tongues like a warm low sun and offer consistent pretty pink-purple flowers. Growing to a height of up to two metres, the leaves and seeds of this plant are edible, however, expect to find yourself with a blue tongue and sour taste in your mouth. This plant grows to a height and width of 1.5 metres, making it a great choice for hedging, borders, mass planting, pots, and part of a trellis. A fan of hot overhead to warm low sun, the Heart Leaf Flame Pea offers orange, pink, and yellow flowers in spring, with blooms in racemes up to 12 centimetres long. The weak branches and scrambling habit of the plant allow it to be trained or trialled over rocks and other features, making it ideal for use in rock gardens. This evergreen shrub belongs to the citrus family and has wonderful lemon-scented cup-like flowers that vary in colour, from yellow to dark brown with yellow inside. Flowers appear in spring, and their incredible scent makes them a favourite in the garden. They enjoy hot overhead sun to warm low sun, and have a plant height and spread of one metre. This plant makes a wonderful groundcover or large planter, bearing large white bottlebrush flowers in late spring/early summer and again in autumn. Attracting nectar eating native birds to the garden, it’s suited to coastal conditions and responds well to pruning after flowering. Best in full sun or part shade in moist, well-drained soils. This is a small evergreen soft-wooded perennial that enjoys hot overhead sun to dappled light. With a creeping, fleshy root system, it offers vigorous growth and has a lifespan of over five years. With pale blue star-like flowers held loose in clusters at the end of stems, this plant blooms in September-December. Commonly used in crevice planting or window boxes, they’re also great for attracting butterflies. This spectacular plant grows either as a gnarled tree up to ten metres tall or as a low-spreading shrub of up to 3 metres height. It often has a twisted trunk and thick bark, and once established, are drought and frost tolerant. Attracting a large number of birds, the Firewood Banksia makes an excellent cut flower, and if left on the shrub, the stamens fall off the cone and reveal a beautiful checkered pattern. This plant grows to a height and width of around two metres and offers spectacular white, light pink, and dark pink flowers. Enjoying the hot overhead sun and mildly alkaline soil, it withstands high winds well and makes a beautiful cut flower. Prune young plants for density and prune back after flowering into one-year-old wood only. The Swan River Pea grows to one metre high with a spread of around three metres. With red flowers that have a distinctive long and curving keel, the plant blooms between August and November and has ovate leaves that are a glossy green on top with silver below. The plant enjoys sandy soils and performs best in full sun, but does require good drainage. It works well as a groundcover or as part of a trellis. This evergreen shrub had a plant spread of ten metres and grows as high as 4 metres. Noted for its large, magnificent red, pink or cream flowers, it forms a striking display in early spring to summer and again in late autumn to early winter. The flowers are followed by large bowl-shaped gumnuts covered in a whitish bloom. Use for accents or as a shade tree and cut back to ground level periodically to stimulate growth.